The Moving Picture Blog: Evolution of a Criminal deserves a wide theatrical release. You can help make that happen. Evolution of a Criminal deserves a wide theatrical release. You can help make that happen. 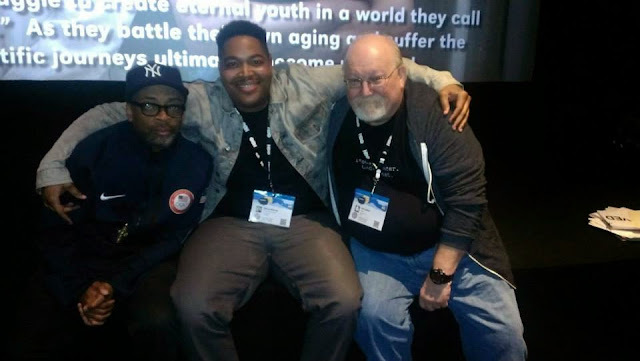 A former student of mine named Darius Clark Monroe premiered his exceptional documentary, Evolution of a Criminal, at SXSW a few months back. I wish I could take full credit for inspiring him as a filmmaker, but I kinda-sorta think he learned a lot more from one of his teachers at NYU, a dude named Spike Lee. But never mind: I'll settle for being among the first to hype Monroe's Kickstarter project to fund the theatrical release that his project deserves. You can learn more about it here.